It has been bitterly cold around here over the last few days, and it’s snowing again today. Luckily, it’s Presidents Day holiday in the U.S., so I don’t have to leave the house! Cold winter days call for warm comforting soups or stews. 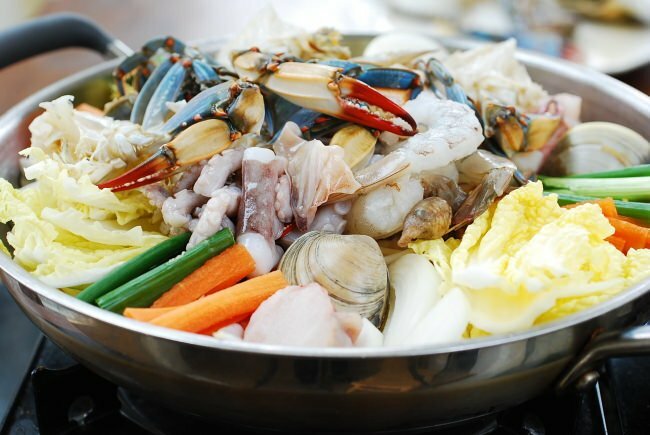 This seafood hot pot (haemul jeongol, 해물전골) is a family favorite. 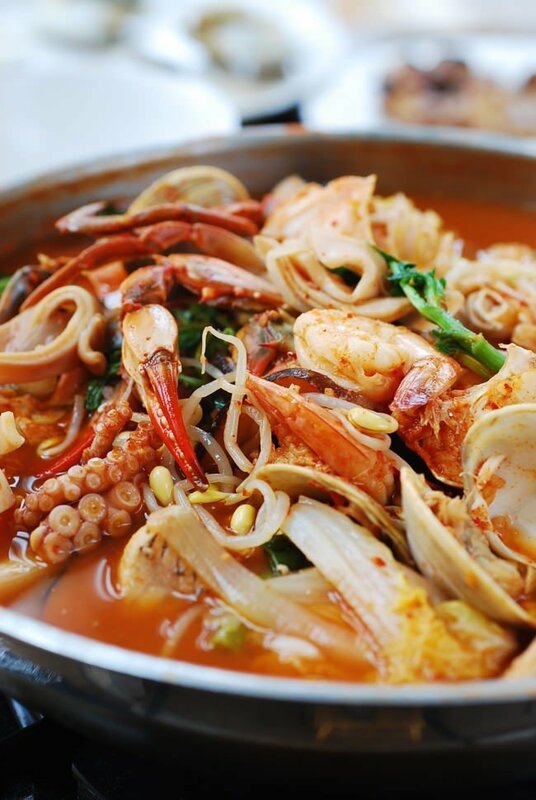 It’s hearty, spicy, packed with savory and briny flavors, bubbling hot, and visually appealing! I make this dish every time my children come home. I cook it at the table over a portable grill which adds fun to the ordinary dinner table. 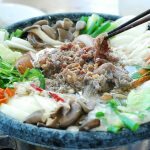 Everyone gathers around the table, patiently watching the hot pot cooking with watering mouths, and then takes his or her own portion in a small bowl directly from the pot. 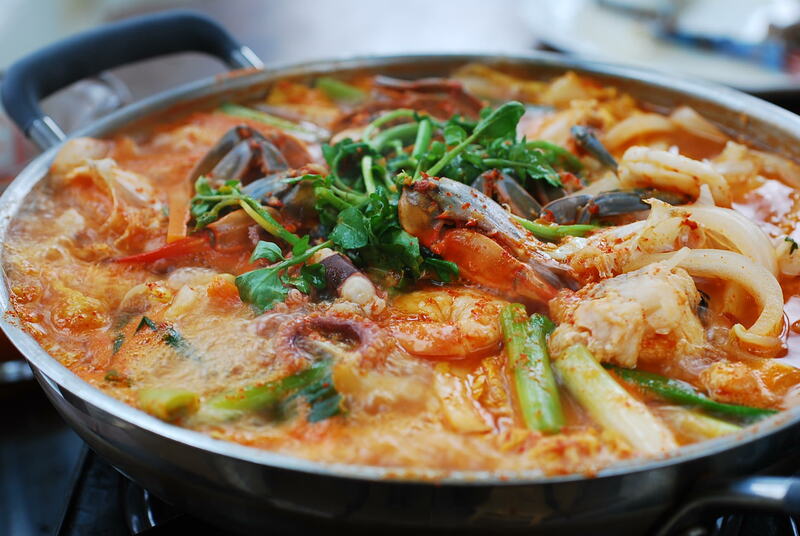 Jeongol is a type of Korean stew (jjigae, 찌게). 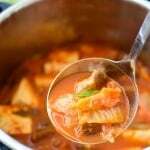 The difference between jeongol and jjigae is subtle in some cases, but jeongol tends to be more elaborate. 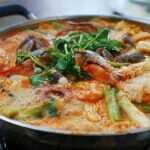 The ingredients are typically arranged nicely in a wide, shallow pot for an eye-catching visual appearance, and the pot is usually cooked at or by the table. 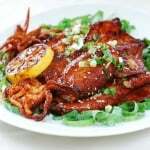 This is the way the dish was prepared for wealthy and royal families in the past. 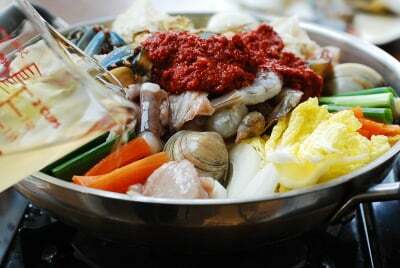 Haemul jeongol is made with an assortment of seafood. It’s totally versatile so you can use any kind or combination of seafood. 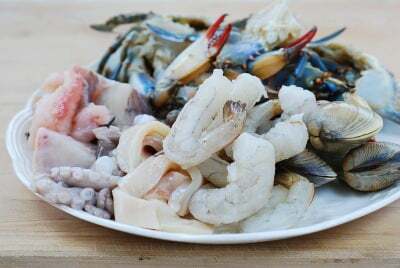 I generally use a combination of crabs, shrimp, clams, mussels, squid, octopus, and firm white flesh fish, depending on what I have in the freezer. Occasionally, I also throw in lobsters or scallops as a special treat. Whatever seafood you use, make sure you use lots of it! 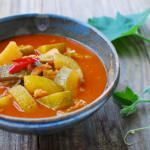 The vegetable ingredients in this recipe are what I typically use, but you can modify with ingredients you can easily find or already have in the fridge. 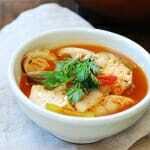 Although I use anchovy broth as a soup base for depth of flavor, water will be okay too as all the seafood in the recipe will impart lots of flavor to the broth. 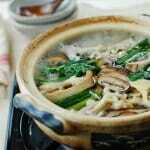 The prepared pot will initially look very full, but the ingredients will cook down significantly. Also, you don’t have to load up all the ingredients at once. You can add more as you cook or take some out to eat. Most ingredients in this recipe don’t take long to cook. 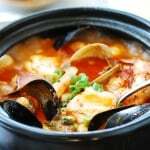 Hearty, spicy seafood hot pot that's packed with savory and briny flavors. Scrub and place the clams in salted water (1 tablespoon of salt in 2 to 3 cups of water) for 30 minutes or longer to get the clams to spit out the sand. Separate the top shell from the crab and remove the gills. Clean the shell part thoroughly, with a kitchen brush or a toothbrush, under running water. Break (or cut) the body in half (or quarters). Clean the squid and fish, and cut into bite size pieces. Clean the shrimp. Cut the cabbage, radish, carrot into thin, bite size pieces. Thinly slice the onion and mushrooms. 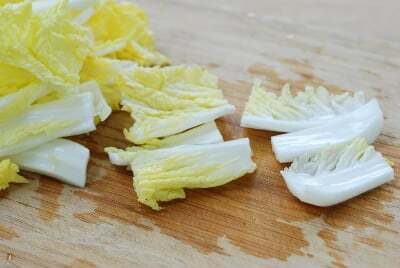 Cut the scallion in similar lengths. Mix the seasoning ingredients well with 2 to 3 tablespoons of the broth or water. Using a wide, shallow pot, neatly arrange the vegetables in clusters, with the exception of the watercress (or crown daisy). Scatter the seafood pieces on top of vegetables, placing the clams/mussels closer to the bottom of the pan. Add 3 cups of broth and the seasoning paste, reserving 1 tablespoon to add as necessary to your liking. Top it with the watercress (or crown daisy), and cook over medium high heat until the clams/mussels are open, the fish is cooked through and the vegetables are softened. Drizzle the optional lemon juice over. Stir occasionally. You can add more broth and any remaining ingredients while eating if you’re cooking at the table. 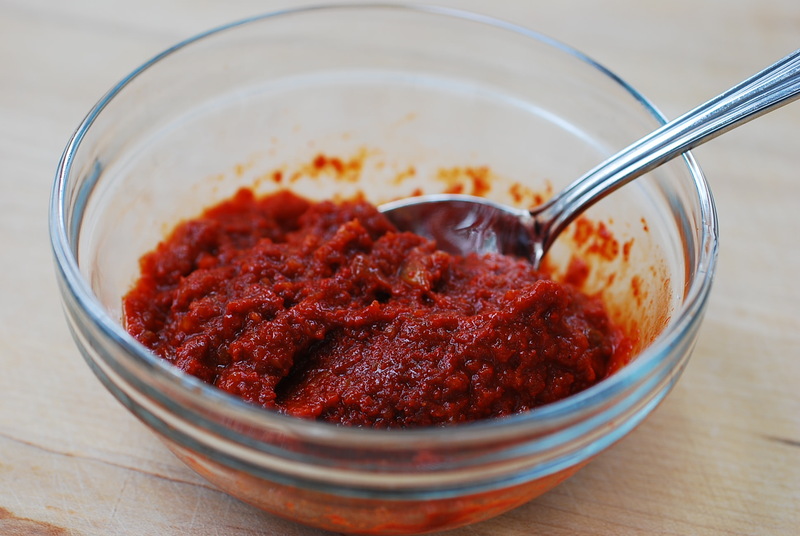 This seasoning paste will be great for any Korean spicy stew or soup. Double the recipe and save one half for later use. Keep it in an air tight container. This looks absolutely delicious and healthy ! I was wondering what sort of clam you used as shown in the 3rd picture below the prawn and next to the cabbage. They are little neck clams, but you can use any clams. Enjoy! Hi Ashley – Definitely! Udon noodles will be great. Hello Hyosun. I have been following your recipes for several years now and wanted to say Thank You for sharing. All of your recipes are easy to follow and I can get ingredients locally, or on Amazon. 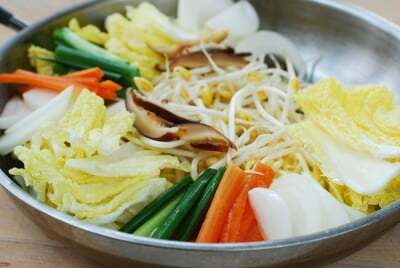 My love of Korean food began while watching the series, Dae Jang Geum. All the food served on the show looked so good that I wanted to try preparing it at home. It was then that I found your website and have been using your recipes ever since. Your Haemul Jeongol is now my favorite comfort food. I make it a lot and it turns out perfect every time. I serve it with plain steamed buns and green tea (first flush) grown on Jeju Island. Jeju Island tea has a slight ocean/salty flavor that really compliments your recipes. Now I’m about to prepare your Pa Kimchi. Thank you very much for all the wonderful recipes and cooking tips. I loved Dae Jang Geum! 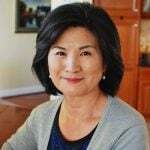 Great to hear you’ve been cooking Korean food with my recipes. Wow that’s interesting to hear about Jeju tea. I’ve had it, but didn’t really think about how it compliments the dishes. I’ll try to experience that next time. Thanks for cooking my recipes and coming by to share your stories!!! Do you just peel the top shell off the crab alive or do you cook it first? Just pull the top shell off.